BOB recruitment 2018: The candidates should apply online on the official website before December 26, 2018. The total number of vacant posts is 913. 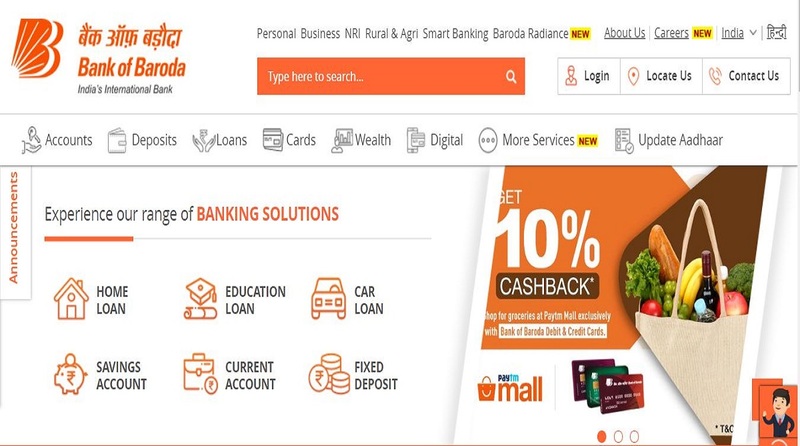 BOB recruitment 2018: Bank of Baroda has released an official notification for the recruitment of Specialist Officers on the official website- www.bankofbaroda.com. The candidates should apply online on the official website before December 26, 2018. The total number of vacant posts is 913. • The candidates should check the official notification for the age limit of every single post here. • The candidates should check the educational qualification for every single post here. • The selection process of the candidates will comprise of online test and Group Discussion. • The online test will consist of reasoning, English language, quantitative aptitude and Professional Knowledge. • For every wrong answer, 0.25 marks will be deducted. • The candidates should apply online here before December 26. 2018.